We spend millions annually (as a nation) on childrens toys. We should maybe rethink the old classics. 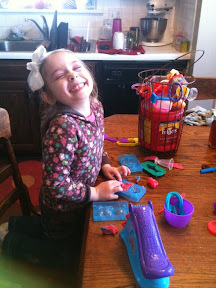 Playdough is a cheap toy with hours of possibilities.